Connacht Rugby supporters can now enjoy free internet access at all home games with the addition of high-speed WiFi at the Sportsground. Thanks to a WiFi upgrade from Magnet Networks, high-speed connectivity is now available to all fans throughout the stadium. The announcement comes just weeks after Magnet Networks revealed plans to offer free high-speed WiFi to Galway city centre. 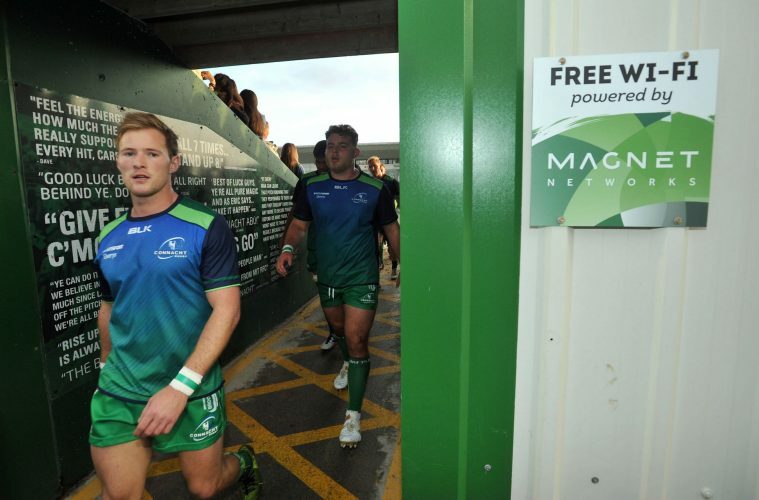 “Connacht fans can now enjoy a high-speed connection that is on par with any other stadium. In fact, we have had zero connectivity issues since the introduction of the WiFi, and not every stadium can say that. Magnet Networks have installed a fibre connection to the stadium with five access points around the grounds ensuring high-speed, secure coverage for all fans. “As well as our new high-speed connection to the Sportsground, we have also created a digital corridor in the city centre with free public WiFi along Shop street and provided connectivity to the recent Galway International Arts Festival.